The 2012 movie Hemingway and Gellhorn was worth watching, though not all reviewers think so. What interested me especially was the film sequence of their trip to China in 1941 following their marriage but before Pearl Harbor. She was writing and reporting for Colliers, as she did on many trips to war zones before and after this one. The movie script for the China sequences was based largely on the chapter of her so-called travel book published in the 1970s, Travels With Myself and Another. 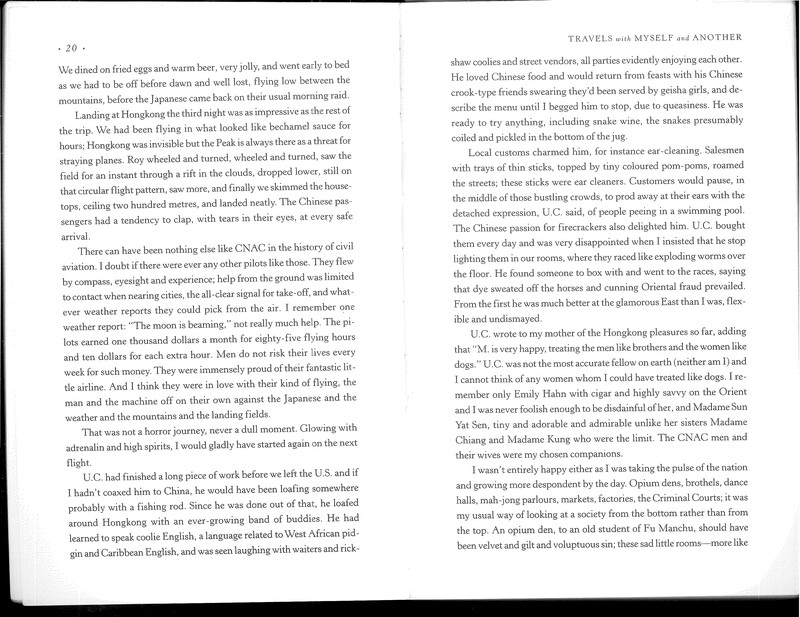 Her account in this book is fair to Hemingway, describing his cheerful, adaptable good ol’ boy character and attitude while self-deprecating of her own complaining and queasy or squeamish displeasure with conditions in China. Reading the reviews of the book is often as entertaining as reading the book. Hemingway appears only in the first chapter and Gellhorn refers to him as U. C. unwilling companion. There is no evidence here but there are claims that Hemingway was reporting to the KBG about circumstances in China, perhaps continuing his Communist contacts begun during the Spanish Civil War. The movie and book also describe their visit to Zhou Enlai, supposedly in hiding in Chungking not far from Chiang’s palace. The closest connection of these events to the F. J. 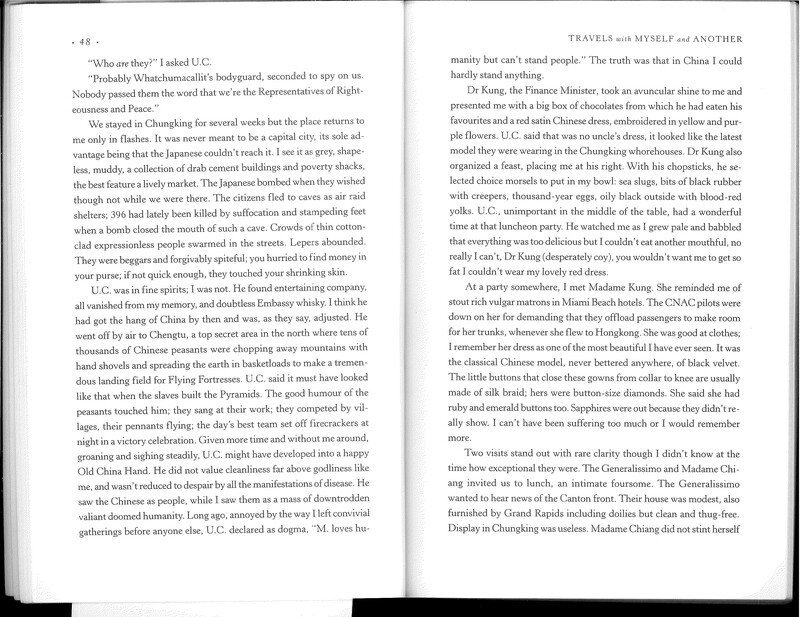 White family is that Roberta White Taylor worked for Sung Ailing, Madame Kung, and met the other two sisters, Meiling/Madame Chiang and Chingling/Madame Sun probably in Shanghai and Nanjing when Nanking was the capitol of the KMT around 1936. She did not work long and felt she was being used as a baby sitter more than as secretary assistant.